Try the Science Dept. revision website by clicking here and get ready for your exams. Biology may be offered in one column at National 3/4 if this can be resourced. National 5 will not be offered in this column but pupils who complete the course at National 4 will be able to progress to National 5 the following session. The National 4/5 Biology Course consists of a number of units including Life on Earth (Biodiversity and evolution; Food production; Environmental studies and Behaviour), Multicellular organisms (Reproduction and inheritance; Cells, tissue and organs; Cell defence and Biological processes) and Cell Biology (Cell Structure; Transport in cells and Genetics). New S4 The recommendations provided by science teachers in the S3 report will be considered to be the entry requirement to science courses in S4. 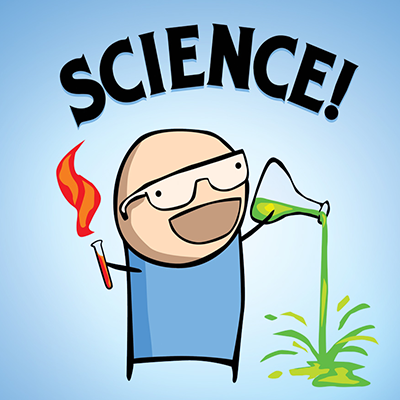 To pick up a new science subject in S5/6 – entry requirement is a pass at National 5. Pupils going into S6 who have gained a National 5 or better in Mathematics may also pick up a new science subject. The level of presentation will depend on progress in the course. All pupils start the course at National 5 level however following assessment during the course National 4 might be a more appropriate level of presentation for some pupils. Higher Biology offers the study three mandatory units: DNA and the Genome, Metabolism and Survival and Sustainability and Interdependence. At Advanced Higher students will study Cells and Proteins, Organisms and Evolution and Investigative Biology. A large part of the course will be spent undertaking a practical project of the student’s choice. Entry recommendation – an A or B at Higher level. The key areas are rates of reaction, atomic structure and bonding related to properties of materials, formulae & reaction quantities, and acids & bases. The key areas are homologous series, everyday consumer products, and energy from fuels. The key areas are metals, properties of plastics, fertilisers, nuclear chemistry, and chemical analysis. New S4 – the recommendations provided by science teachers in the S3 report will be considered to be the entry requirement to science courses in S4. New S5/S6 – to continue with the same science in S5/S6 – entry requirement is Pass at National 4 or Standard Grade General which includes a 3/4 in the Knowledge and Understanding element. To pick up a new science subject in S5/S6 – entry requirement is a pass at National 5 or Standard Grade at Credit in any other science subject. The Higher Chemistry course consists of the following four mandatory units: Chemical Changes and Structure, Researching Chemistry, Nature’s Chemistry and Chemistry in Society. Entry requirement – National 5 Chemistry. At Advanced Higher the course is made up of the following three mandatory Units, which are: Inorganic and Physical Chemistry, Organic Chemistry and Instrumental Analysis, Researching Chemistry. The purpose of the Course is to develop learners’ interest and enthusiasm for physics in a range of contexts. The skills of scientific inquiry and investigation are developed throughout the Course by investigating the applications of physics. This will enable learners to become scientifically literate citizens and able to review the science-based claims they will meet. The three units we will cover are: Electricity and Energy, Dynamics and Space and Waves and Radiation. Pupils going into S6 who have gained a N5 in Mathematics may also pick up a new science subject. At Higher Level the physics course consists of four mandatory units: Our Dynamic Universe, Particles and Waves, Electricity and Researching Physics. Entry requirement – National 5 Physics. Pupils with a National 5 recommendation in S3 may opt for Physics in the Higher class, completing the Higher course over two years. Advanced Higher consists of four mandatory units: Rotational Motion and Astrophysics, Quanta dn Waves, Electromagnetism and Investigating Physics. Entry recommendation – an A or B at Higher level Physics and Higher Mathematics.